You would have heard about iPhone dock. If you have iPhone/iPod, you would really love to buy one dock for yourself to play your favourite music when you are alone. 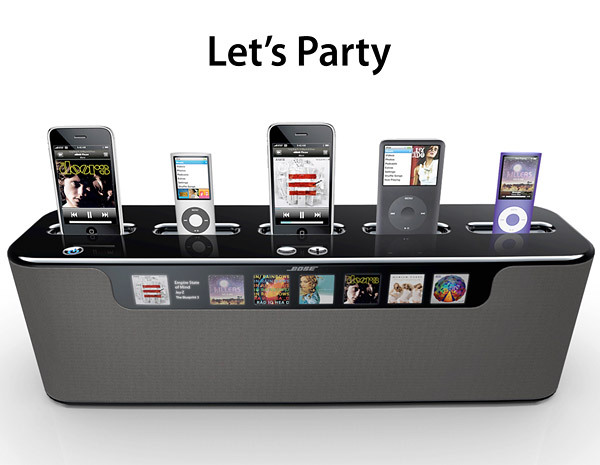 When you are throwing a party or when your friends invite you to party, what will happen if only single iPod dock is available ? People in party keep on switching their iPhones/iPods to single dock to play and rock their favourite songs. Its difficult isn't ? So, designer Jason Farsai has come up with a Multi-Dock concept which lets your friends to contribute to the party Mix. 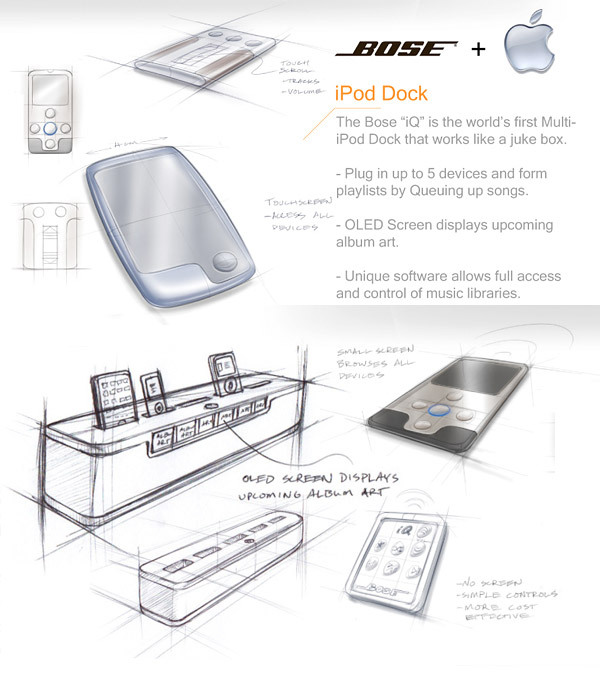 Its named as "Bose iQ" This Dock will allow you to simultaneously dock up to five ipods or iphones, and then automatically queue up a mega mix of tunes from all of them. Bose-iQ dock also includes a wide touch screen which displays the multi device library. It can also be remotely controlled with a remote. It will also charge all the devices simultaneously while they are docked. This will be amazing isn't?